Leading the revolution towards truly affordable filmless healthcare systems, RADinfo SYSTEMS’ The Power of One is the smart and effective clinical solution for transforming your digital imaging workflow. RADinfo SYSTEMS offers a HIPAA-compliant, secure, Web-enabled and integrated PACS/RIS solution with revolutionary enhancements from the PowerPACS/RIS suite of products. A perfect solution for any healthcare provider, RADinfo SYSTEMS intelligent Micro PowerPACS integrates with any vendor’s modality to provide a seamless digital environment. This powerful combination is the one stop cost saving and film-less solution for users to Acquire, Archive, View, Distribute and Manage DICOM images. A DICOM image management system for archiving, routing and retrieving medical images and related patient data. Unattended CD/DVD production for PACS off-site archiving and disaster recovery. A comprehensive and functionally rich, DICOM-compliant viewer at an affordable price. 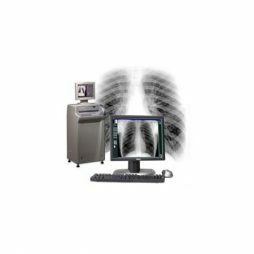 A comprehensive suite of intuitive and functionally rich, DICOM-compliant viewing capabilities at an affordable price. 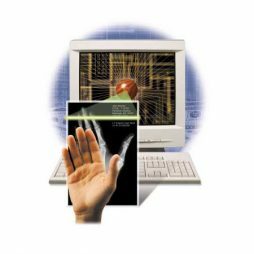 The key to an efficient digital imaging practice is a fully functional, easy to use viewing station; RADinfo SYSTEMS RSVS Viewer Suite offers a comprehensive set of functionally rich, DICOM-compliant viewing options at an affordable price. The patented RSVS System is simply one of the most powerful viewers in the marketplace.